* 3-1/2lb. 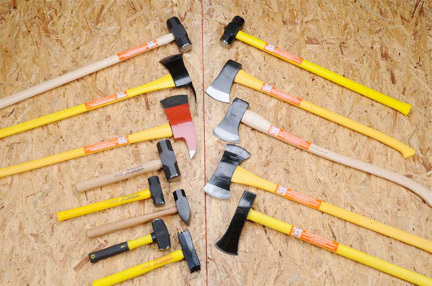 Single Bit and Double Bit Axe and Pulaski Axe available with F/G Handle and Hickory handle. Assembled in USA. *6 lbs. Firemen Axe with Fiberglass Handle and Hickory Handle. Assembled in USA. * 5 lbs. 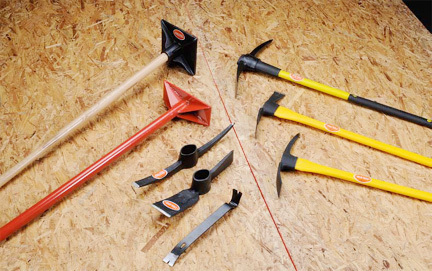 & 6 lbs Rail Road Pick, 5 lbs Pick Mattock and Cutter Mattock, available in Fiberglass Handle and Hickory Handle. * 8"x8" and 10"x10" Dirt Tamper. And All Steel Trench Tamper 4"x11"